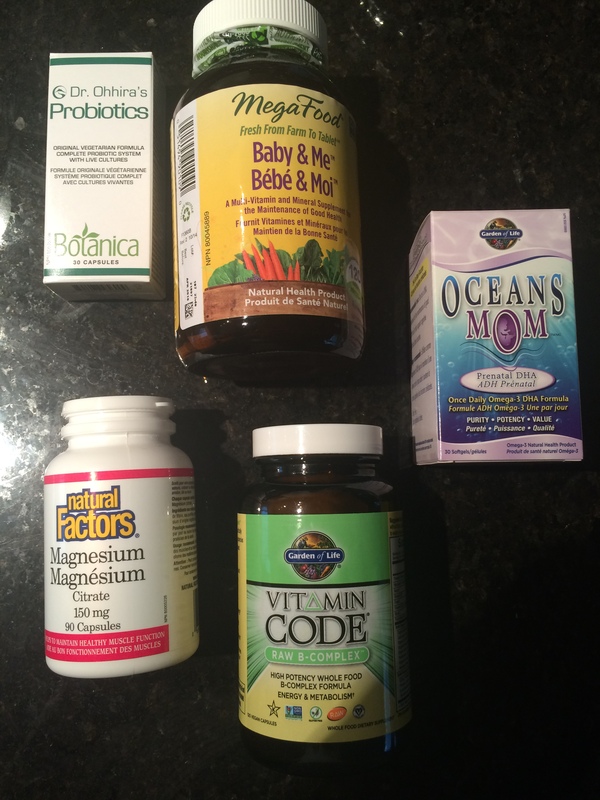 I read a lot about vitamins and a couple of lists that I found helpful were from Mama Natural and Wellness Mama, sharing the supplements that they take during pregnancy. I don’t take all that they take and it really depends on your comfort level and needs during pregnancy. One thing that Enza Ward, Registered Holistic Nutritionist and owner of Senzable Health pointed out to me that was super important for pregnancy was probiotics. This is great – thanks for the tips!